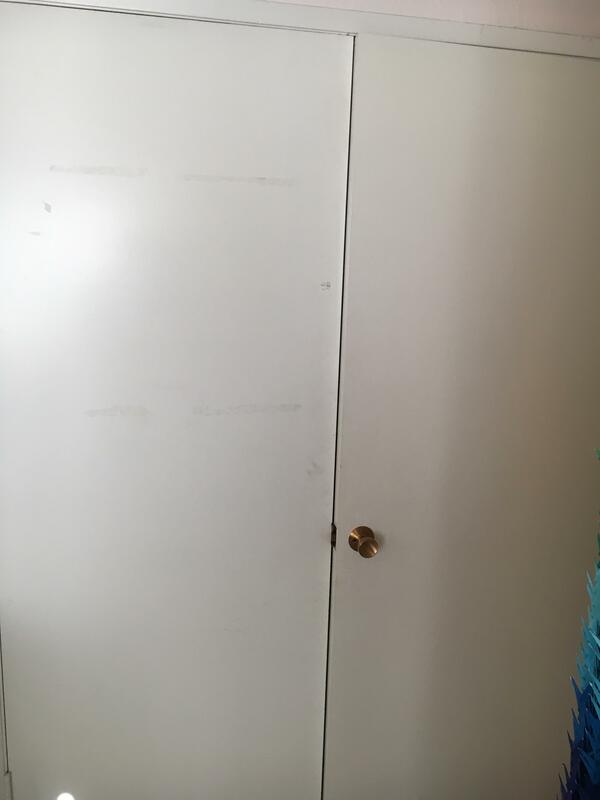 Is it possible to switch the doorknob on a double door to the other door? I have a double door into my bedroom. One door is normally locked into place and the other has the doorknob. 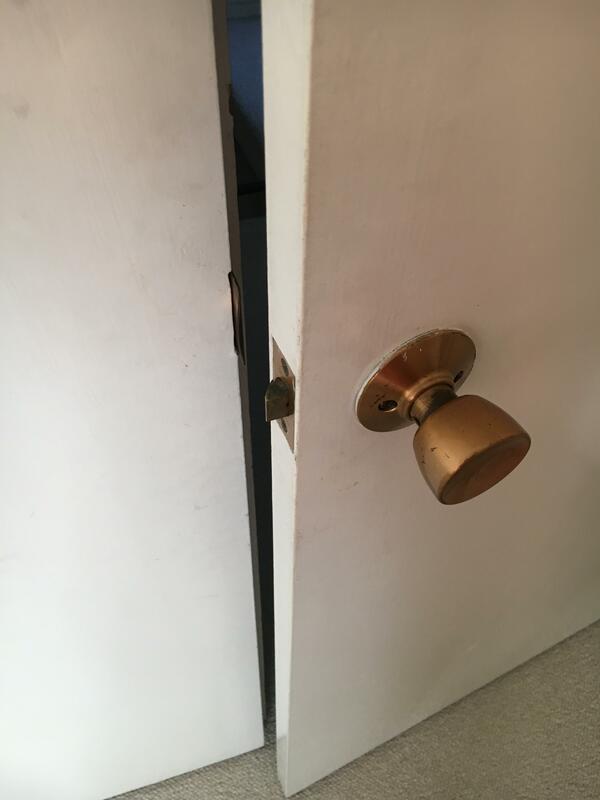 I'm wondering if it's possible to switch the doorknob from the right hand door to the left hand door and have it be functional? The problem is that you'd be left with a big hole in the middle of the door that used to have the knob. Unfortunately leaving the knob and adding a second probably isn't a good solution either. The knob really needs the latch mechanism to physically support it in the hole and two latches wont' work. Since you have painted, flush doors, you could cut a plugs to fill the holes (knob and latch), glue them in place, putty any voids, sand it smooth, and paint. It would probably be a fair amount of work but should be mostly unnoticeably patch. The other alternative is to simply replace the doors. I'm assuming their hollow core and those are relatively inexpensive (~$31 each for a 30" door slab). Be some work mortising the hinges, drilling new holes for the lock mechanism and catches, and painting. Let us know what direction you want to go in and we can give some specific advice. If it were me, I'd replace the doors. 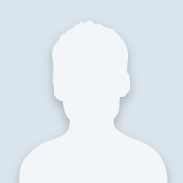 Hello hyemi and welcome to the Community. The other problem relates to the now secondary (fixed )door. That door has what is called a stop on it. 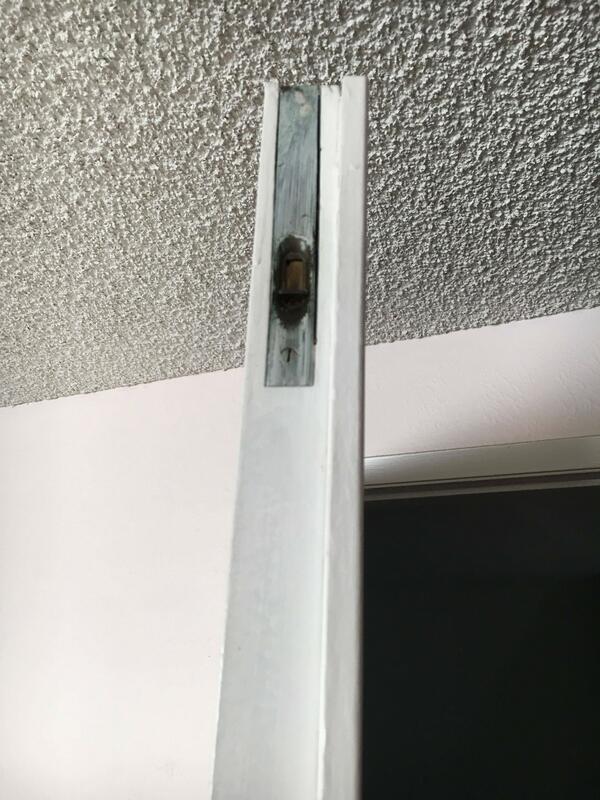 The stop, is a piece of wood that keeps the active door from swinging passed the fixed door (or usually closed door and locked in place door). So you would have to remove the stop and apply it to current active door. You would also have to switch the locking slide bolt to the now active door and fill the door knob hole, while cutting a new hole in the fixed door for the door knob. I would suggest you talk to a Millwork specialist at your local Home Depot. Take good measurements. If you want to replace just the slabs, Measure the hinge locations starting from the top of the door slab to the top of each hinge location. Also measure the door knob location from the top of the door to the center line of the door knob.